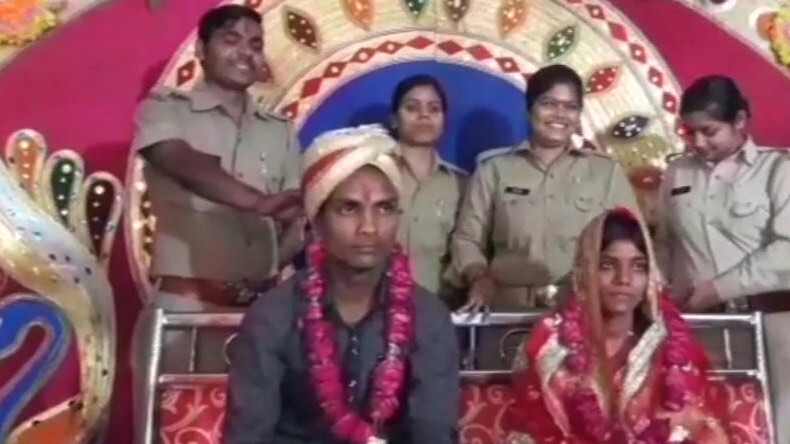 A couple hailing from Barabanki district in Uttar Pradesh got hitched at a police station after going missing for over 48 hours. As per reports, facing parents’ disapproval for marriage the couple had eloped from the village. After investigating the case the police found that the couple were adults and had the right to choose their life partners. Following this the police personnel organised a decent wedding for the couple at Mohammadpur Khala police station with their parents’ consent. After showing their ‘rough’ side with a series of encounters where several dreaded criminals around the state were neutralised, the Uttar Pradesh (UP) Police are again back in the headlines but this time because of their ‘softer’ side. Recently, it was found that a police station in Barabanki district of UP had organised a wedding for a couple who had gone missing for several days following an altercation with their respective families. After investigating the case the Mohammadpur Khala police station found that the families were against the marriage of the couple following which they had eloped from their houses. As per reports, the couple identified as Vinay Kumar and Neha Verma was in love for quite some time and wanted to marry each other. Later, when the couple approached their families for marriage, both of them disapproved of their relationship. After the families denied the marriage, the couple went missing. Following which the families rushed to the police station and registered a missing report. During the investigations, the police officers found that the couple were adults and hence had the right to choose their life partners. The police launched a search operation and later succeeded in locating the couple. The police called in the families of the missing couple and tried to resort the matter. After the matter was resorted, the Mohammadpur Khala police station further arranged the wedding of the couple at their premises. Commenting on the matter, ASP of Barabanki Police said that the boy along with girl had gone missing from past two days and their parents had come to register the report. During the investigation, police found they were adults and wanted to get hitched. He said, “The wedding was arranged with consent of families of both girl and boy”.